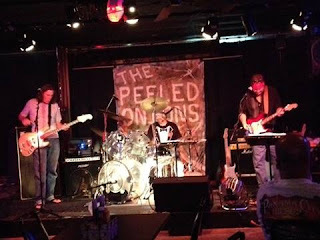 The Piedmont Chronicles: The Music Minute, 4/12/19: McCart & McCart f/ Reb & LeeLee @ Amici; Peeled Onions @ The 5! 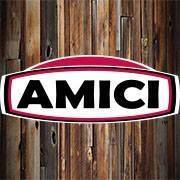 The Music Minute, 4/12/19: McCart & McCart f/ Reb & LeeLee @ Amici; Peeled Onions @ The 5! TPC Editor MB McCart, who moonlights as an occasional guitar picker (and sometimes he's not too shabby) , will be doing a show w/ his lovely & ever-talented wife - Mrs. Ann Biggers McCart - tonight, Friday the 12th, at Amici Covington @ 8PM. 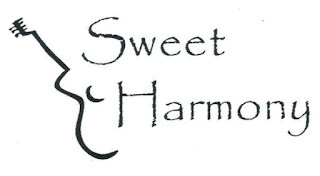 Joining the McCarts will be fellow Sweet Harmony bandmates Rebecca Bates & LeeAnne Biggers Blankenship. Each set will consist of Ann & Marshall doing a mix of jazz standards, deep-cut covers & several of Ann's older originals from her epochal album from 2003 - Love, Pain, Trains, Bridesmaids & Double-First Cousins. 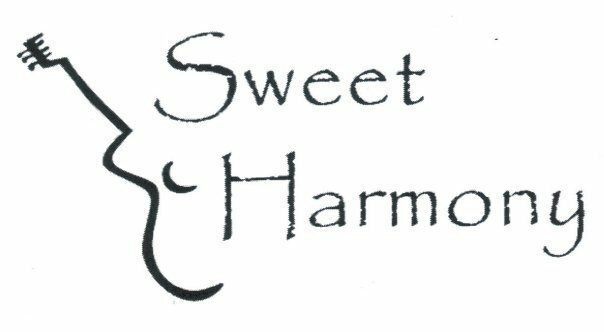 Also each set will see Rebecca & LeeAnne sitting in & performing a mix of songs, including some Sweet Harmony classics, as well a few twists & surprises including - per the word 'round the campfire - The Professor, Adrianne Ivey, sitting in on a song or two. The Peeled Onions - "Best Bar Band in the Great State of Georgia!" After quite a while, everyone's favorite bar band - The Peeled Onions - returns to Five O'Clock Somewhere. So, folks, after hitting Amici, swing by to get your RAWK on at Five O'Clock! The Peeled Onions LIVE Friday Night April 12th 2019 for one night only at Five O'clock Sports Bar and Grill in Covington. Show starts at 9pm. The Peeled Onions Return to Five O’clock Sports Bar. Hope everyone can come out to support the band. It’s been 6 month’s since the last Five O’clock gig, so let’s get away from the TV and take in some live music like we used to do! Don’t Miss It!!! Always a big time @ The 5! Enjoy the tunes & be sure to check back in w/ TPC - Your Source for the REAL Music!